This precious anointing oil is formulated based on one of the most aromatic stories of all the perfume and incense accounts in the scriptures. It is about Mary, the sister of Lazarus and Martha. At Bethany, she did something that was extraordinarily radical for a woman to do – it was extravagant & prophetic: an act of pure worship when she broke the costly alabaster jar of Spikenard/Nard and anointed her beloved Messiah. At that moment, Mary was not just a devoted follower of Yeshua but a priest and a prophet – she anointed Christ the King who was going to lay down his life for the salvation of the world. The oil perfumed the entire place – the house and the guests were all able to experience the frequency of this oil. Inspired by the first Christmas Gift, this set comes beautifully boxed with 2 Organic Handcrafted Soaps, A healing Balm & An Aromatherapy Roll-On Blend made with pure plant aromatics of the Bible together with Lily of The Valley extract. Makes a beautiful Christmas gift to be enjoyed for its therapeutic benefits. 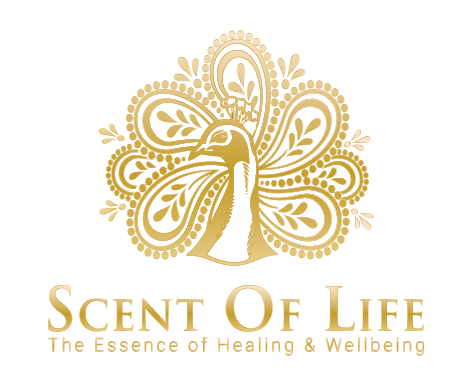 Frankincense, Gold & Myrrh exquisite healing essence of plant aromatics since antiquity. This set of Soap and Balm is inspired by the first Christmas Gift. They come beautifully boxed with 2 Organic Handcrafted Soaps& A Healing Balm made with pure plant aromatics of the Bible together with Lily of The Valley and Amber extract. Makes a beautiful Christmas gift to be enjoyed for its therapeutic benefits. If your skin is happy, then you are happy! This organic healing balm made with pure plant botanicals featuring Frankincense, Myrrh & Turmeric should earn its rightful place in every household as a rescue remedy for any skin condition that needs help. This consultation session is specially crafted for the woman who needs a little “me time” because she has been caring for everyone around her and realises she cannot pour from an empty cup anymore. Following a Holistic Aromatherapy assessment, you will get to experience the application of your bespoke blend created for you to promote deep relaxation with mood enhancing essential oils which will be carefully chosen based on what you need. You will feel instantaneous transformation in your energy, feel restored and joyous. At the end of the session you will leave with a profound sense of wellbeing and feel connected to yourself like never before. This is where I distil your essence and energy and create a perfume based on your personality & preference. It is a beautiful olfactory experience of discovering and creating a personal scent that you can use as your very own one-of-a-kind perfume. Place these beautiful scented wax tablets in your room, drawers, shelves or wherever you wish to relax and unwind. They make wonderful Christmas Tree ornaments as they create a festive atmosphere. The wax tablets comes in sets of two. A potent blend formulated to help you gain a restful sleep so you wake up feeling refreshed and full of energy. The sweet slumber balm is a must have for those who do not enjoy a restful night sleep. Made with pure essential oils of Cedarwood, Frankincense, Spikenard, Myrrh, Lavender & Rosemary in an organic Shea Butter, Coconut Oil and Beeswax base it is a pure aromatic solace for the sleep deprived. You will feel instantaneously relaxed when you apply this balm on your neck, the soles of your feet and behind your ears as a bedtime ritual to help you drift off into blissful, sweet slumber so you wake feeling refreshed and well rested in the morning.